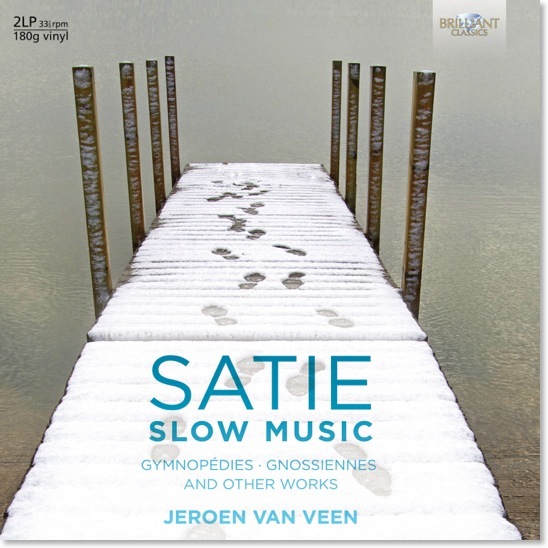 The LP issue of the 2 CD’s of Satie’s ‘Slow Music’ played by Jeroen van Veen. Erik Satie’s music remains as eccentric as it was when composed in the early 20th century. Bizar, anti-romantic and ironic it stands in sharp contrast with the grandiloquent outpourings of the Late Romantics or the hyper sensitive drawings of the Impressionists. In his performance of “slow” piano music pianist Jeroen van Veen stretches the concept of slowness to ts extreme, creating a hallucinatory effect, a kind of Minimal Music avant la lettre. Satie’s music appeals to audiences well beyond the traditional classical boundaries, and the issue on vinyl is an attractive bonus for any Satie fan. 180 grams audiophile Vinyl, 33 ⅓ rpm. The name Satie is synonymous with the piano, and Brilliant Classics’ regular artist, Jeroen van Veen, assembles some of his most popular pieces in this 2LP collection. On this recording, Van Veen stretches time limits to their maximum and then even further, from slower to slowest, giving each note and chord the chance to be fully appreciated. In doing so, less actually becomes more. Erik Satie’s music needs little introduction. An eccentric figure of the early-20thcentury Parisian avant-garde, the composer is best remembered for his ballet Parade and the three Gymnopédies, and he enjoyed heading his works with ironic titles and according them unusual performance directions. Vexations, or ‘torments’, was not published during his lifetime, and lets the pianist play the same melody 840 times; veritable furniture music that reflects his disgust with all that was pretentious in music-making. 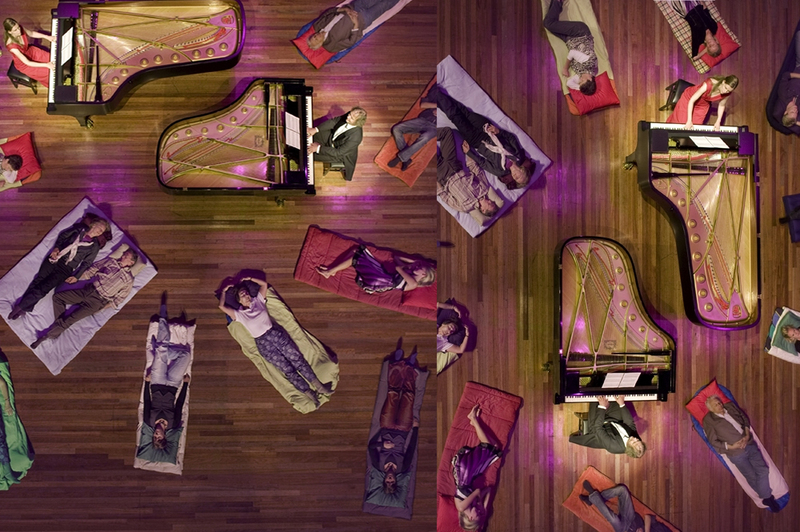 His Pièces froides borrows tunes from others and places them in a new, slightly ironic setting. Again, the instructions for the pianist are highly unusual: ‘Give it a good look,’ the composer says, and ‘go on’. Indeed, the title of his most enduring works that open this recording, the three Gymnopédies, and the Gnossiennes, have no meaning at all!